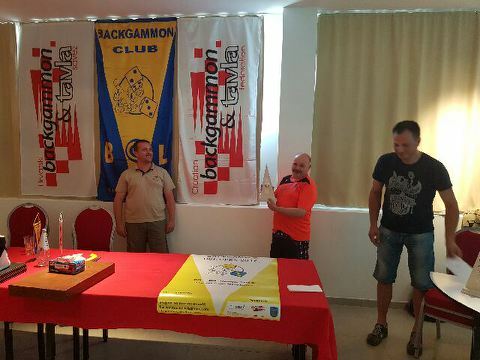 While it’s true to say that backgammon leagues are not everybody’s cup of tea, the rise and rise in popularity of these competitions in the UK is surely justification in itself that leagues play their role – and a major one at that – in involving more and more players in competitive backgammon. And as the primary motivation for the UKBGF is to do just that, the existence of leagues undeniably dovetails nicely with the achievement of that objective. WBC even have their own logo – but why the pears? 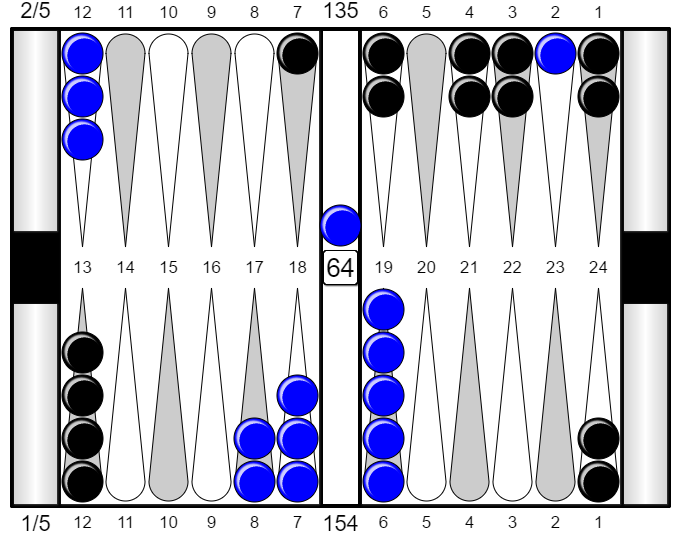 Black leads 2-1, 5 point match? Tied 1-1, 5 point match? Black trails 0-1, 5 point match?